For the next month I will be turning to a vegetarian diet to help myself become a healthier and ‘feel better’ me. I’ve been feeling sluggish lately and think this is just the boost my body needs, plus I was concerned that too many of my meals revolved around meat – was it really necessary? This will be a new food experience that I’d like to take myself on to discover satisfying (new) meals packed with vegetables, whole grains and more. I’m kicking the ‘habit’ of eating meat and giving the veggies a chance to take centre stage for a whole month! Warm bowl of homemade porridge served with bananas and natural honey – a healthy way to start the weekend! 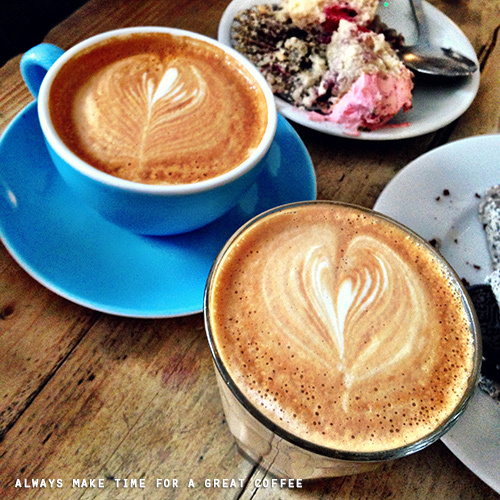 Today I discovered Kahaila Community Cafe – Brick Lane has a huge number of cute coffee shops, and Kahalia is certainly one of my favourites for a coffee stop now. Great spot for lunch or cake with friends, or a work space if you don’t mind background chatter. 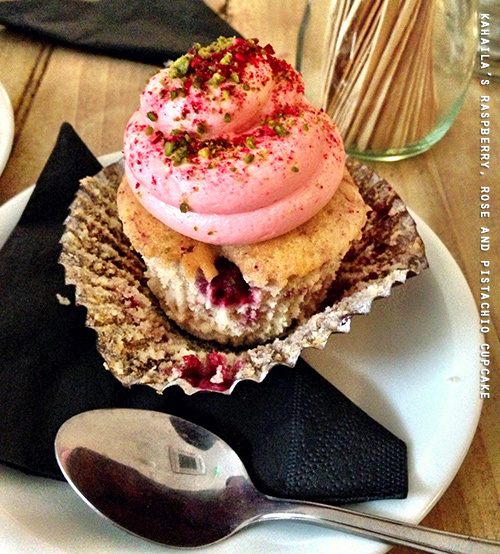 Plus, all the cakes here always look very nice and I didn’t know what to choose, in the end I went for the ‘Raspberry, Rose And Pistachio Cupcake’! (certainly ‘almost’ too pretty to eat). It was certainly a good choice too. Today I took myself and a friend off to The Old Truman Brewery on Brick Lane to celebrate the art of coffee making, the London Coffee Festival. 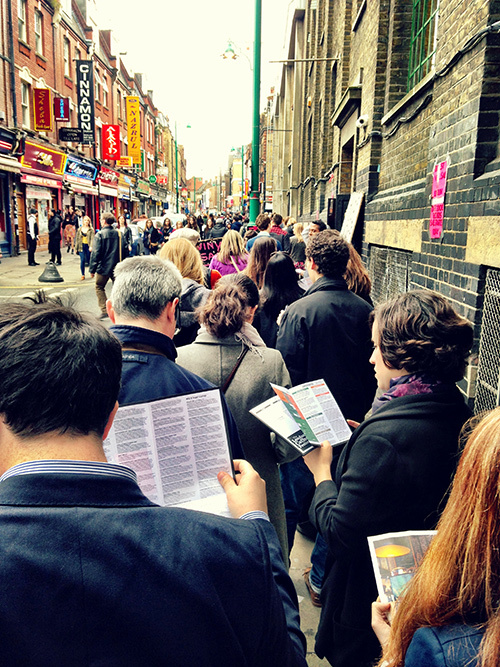 The event showcases the bustling and rapidly growing independent coffee shop (and some not so independent) industry in London – including tastings at numerous artisan coffee and food stalls, coffee demonstrations from world-class baristas, as well as a selection of talks, workshops and debates at the Lab stage. The London Coffee Festival also hosted the UK Barista Championships, celebrating the art of coffee making. This was my first experience and a real positive one too! Finally, a great thing about this festival was that 50% of all ticket sales went to Project Waterfall, which does work towards ensuring safe drinking water and sanitation in African countries where coffee production is a key part of industry. Overall I was glad to had made time for a ‘proper’ coffee break. 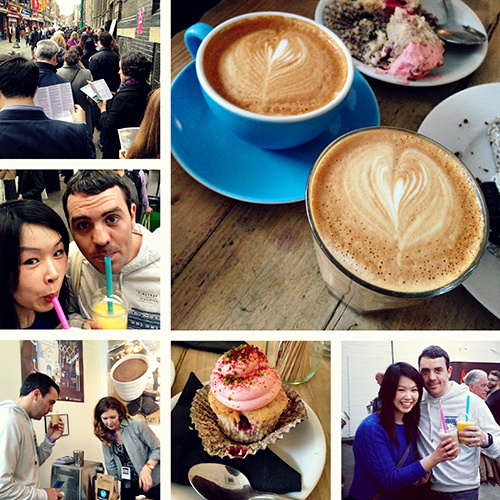 It was a great first experience, and we were still buzzing from the caffeine all evening!! A very busy (and hot) day and discovered lots of new coffee enthusiasts too! Falafel Mezze box (bought from a food stall at the Coffee Festival – it was OK, could’ve been more substantial and there was far too much hummus! where were the pitta breads?) 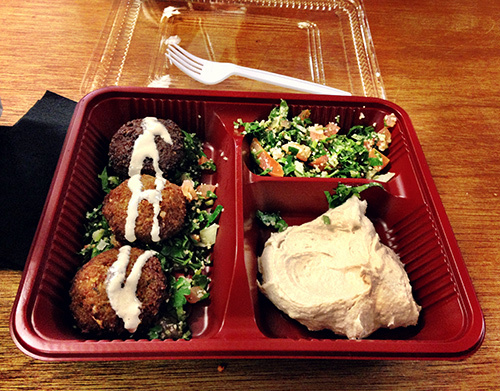 – apparently falafels are a great vegetarian meal due to their high protein and fibre content.